Scheduled to be implemented by 2015, the Clean Space initiative aims to reduce the environmental effect of Europe’s space activities, cutting waste and pollution on Earth and in orbit. Next year’s Hollywood film Gravity features George Clooney stranded in orbit by cascading space junk. The threat is genuine, with debris levels rising steadily. ESA’s new Clean Space initiative is developing methods of preserving near-Earth space – and the terrestrial environment, too. Responding to public environmental concerns, Clean Space aims to reduce the environmental effect of Europe’s space activities, cutting waste and pollution on Earth and in orbit. Industry is contributing to ESA’s draft plans for developing Clean Space technologies: new tools to assess environmental effects, more eco-friendly replacements for materials and techniques, and ways to halt the production of more space debris and bring down existing debris levels. “We can therefore say that Clean Space is not a new program, but instead a new way of designing all of ESA’s programs. I would like ESA to become a model agency in this respect. ESTEC, ESA’s technical center in Noordwijk, the Netherlands, hosted a Clean Space workshop in June, jointly organized by ESA and industry body Eurospace. On Earth, Clean Space involves evaluating the environmental impact of future space projects, as well as monitoring the likely effects of forthcoming legislation on the space industry – environmental law being an extremely fast-moving field. Life-cycle assessment will be important for evaluating the environmental effects of space technologies, from their initial design and manufacture to their end-of-life. In the workshop, Environmental consultancy BIO Intelligence Services described the current wide employment of life-cycle assessment in other industrial sectors. Environmental friendliness often goes hand-in-hand with increased efficiency – offering industry competitive advantage. Novel manufacturing processes such as ‘additive manufacturing’, where structures are built up in layers, or ‘friction stir welding’, where lower weld temperatures use less materials and energy to do a better job. Reducing the need for often costly waste disposal is another win–win: rocket maker Safran is working on a biological method of breaking down toxic solid-propellant waste. 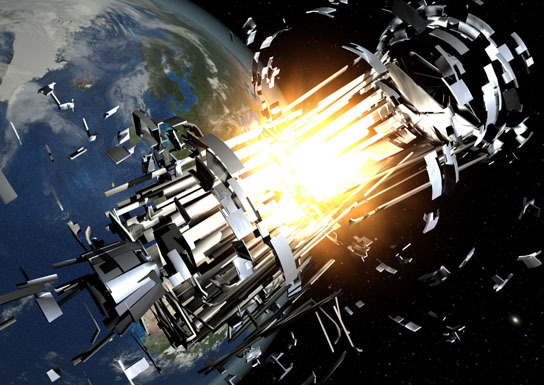 In Gravity, runaway orbital collisions fill low-Earth orbit with a lethal debris cloud. 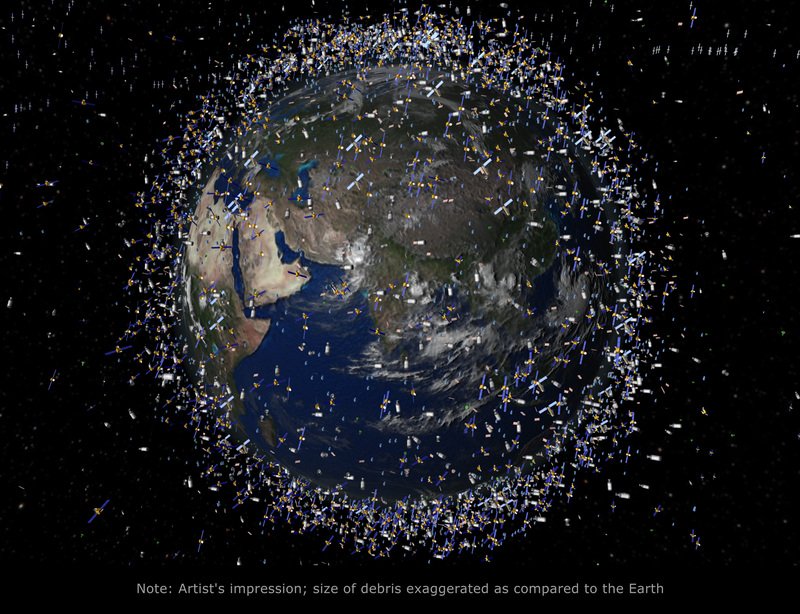 In real life, of the 6000 satellites launched during the Space Age, less than 1000 remain operational. The rest are derelict and prone to fragment as leftover fuel or batteries explode. Orbiting at 7.5 km/s or more, even a 2 cm screw has sufficient ‘lethal diameter’ to take out a satellite. The workshop discussed various means of minimizing future debris production, such as tethers or sails to help drag abandoned satellites out of low orbit within 25 years. Satellite reentry also needs to be a safer process – sometimes entire chunks of satellites have hit the ground intact. New ‘design for demise’ concepts aim to prevent that. But even if all space launches stop tomorrow, simulations show that debris levels will keep growing. Active removal is also needed, including robotic missions to repair or deorbit satellites. 2 Comments on "Clean Space Initiative to Target Orbital Debris"
What is more insane than launching satellites into orbit? Irresponsibly dragging them back into our atmospheric envelope to “harmlessly” burn up! What about all of the toxic waste that is on board each and every satellite? Does that just all disappear in our upper atmosphere? No, it doesn’t. These defunct satellites need to be taken AWAY from the Earth, and dealt with that way. More expensive, of course, but the alternative is highly toxic and radioactive SOUP of chemicals released by the TONS into our atmosphere every time a satellite gets ‘tethered’ out of low Earth orbit. Just about EVERYTHING that is being done at geosynchronous orbit can be accomplished at a mere 25 miles altitude, with stratospheric airships! 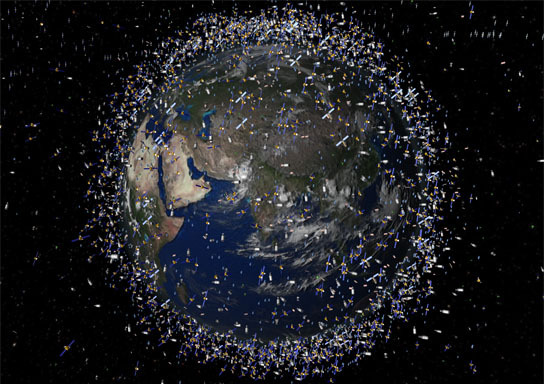 In low Earth orbit (below 2,000 km), orbital debris circle the Earth at speeds of 7 to 8 km/s. However, the average impact speed of orbital debris with another space object will be approximately 10 km/s. Consequently, collisions with even a small piece of debris will involve considerable energy. So this kind of initiatives are good for the artificial satellites.